For the first time since their inception, the Nationals are the talk of the baseball world, and the team knows it. They are holding a limited number of tickets hostage for the big league debut of Stephen Strasburg. The No. 1 overall pick in last year’s draft has already dominated the minor leagues, and he is ready to make a splash in the majors. 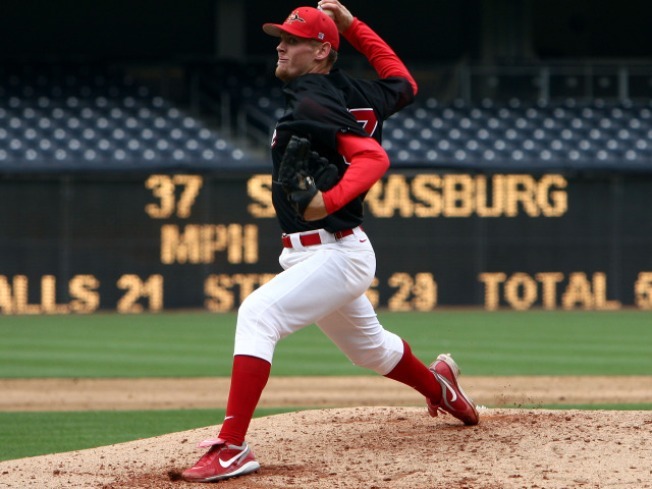 Strasburg will pitch Tuesday, June 8, against the Pittsburgh Pirates. As soon as the team made the announcement, fans and ticket brokers scooped up all of the available seats…or so we thought! The Nats have now announced they found some additional tickets and will put those on sale Wednesday morning at 10 a.m. However, they are only available to season ticket holders. So if you are not a season ticket holder, you are out of luck. If you know one, now is the time to remind them how great they are. The team says this is one of the many exclusive opportunities that season ticket holders will receive this year. Interested season ticket holders can call the box office this morning at (888) 632–NATS (6287).